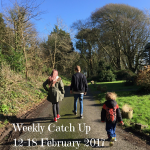 We have changed how we record our days – we have kept a daily diary in the form of Project 365 and then Photo a Day for over two and a half years up till last October, and switched to more weekly round ups from November. It is lovely to look back on, but a lot of work to keep up with. 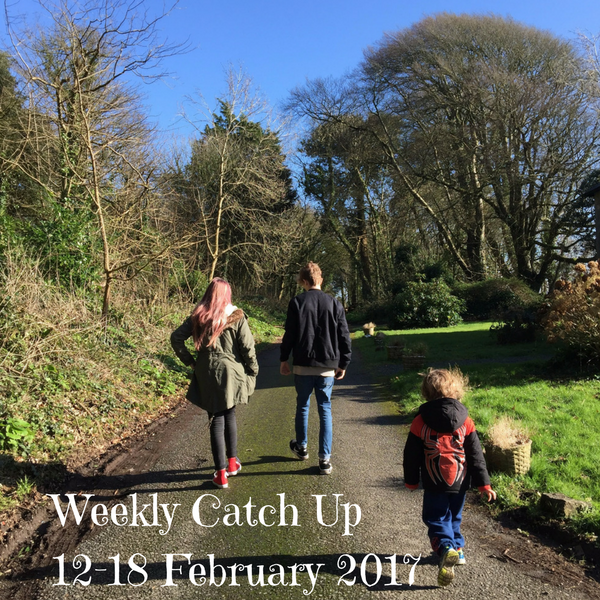 So welcome to another Weekly Catch Up for 2017. Sunday started with big bro Luke waking up feeling poorly. It was a freezing cold, windy day and we just met Daddy for some food. Luke was sick, and in the night big sis Lea was too. Again and again and again. They were both so poorly, so weak and unable to eat or even drink really. On Tuesday I came home with a little crown I made for Valentine’s Day – and chicken pox! Can you believe it? 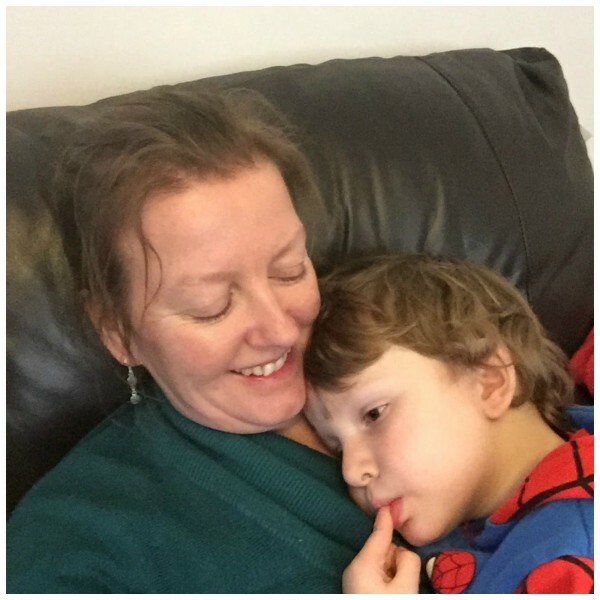 Mummy felt so ill too – very nauseous all the time, but she wasn’t sick. Mummy noticed one spot on my lower back when I lay in the floor just after we had a big cuddle. I didn’t have many spots but Mummy had to go out and get calamine lotion. Our week has been just being at home watching movie after movie, the weather was awful to start with but Wednesday was beautiful and sunny. 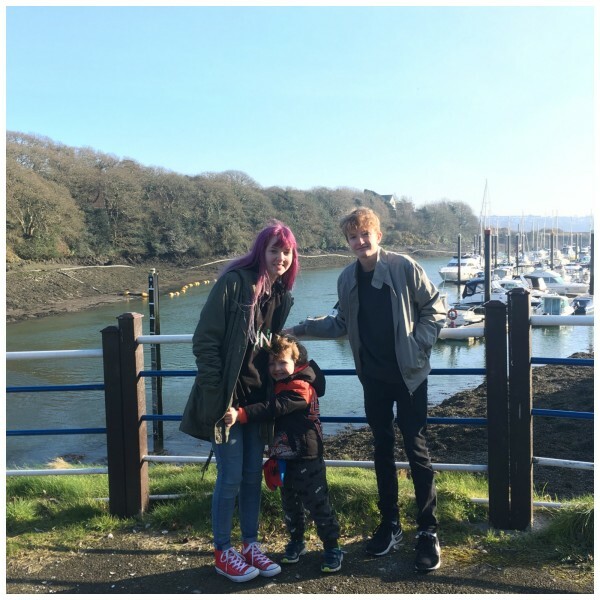 Mummy, Lea and I managed to meet Nana at our favourite garden centre and then we persuaded Luke to come out to Stackpole for a little walk and some fresh air. 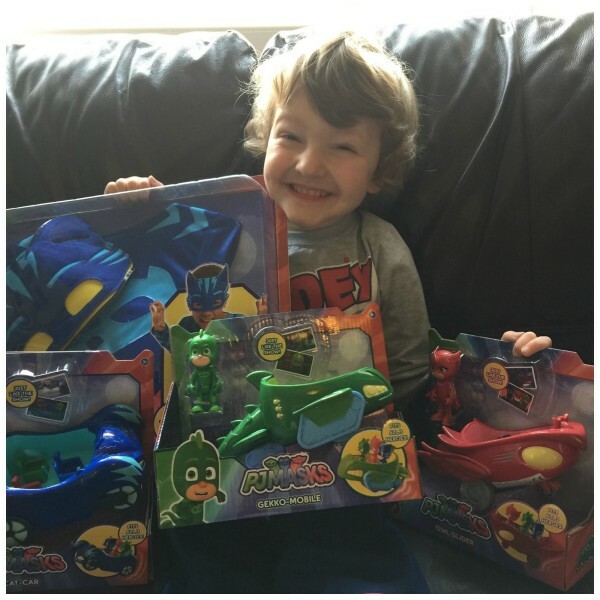 We were sent some awesome PJMasks toys which cheered me RIGHT up! I haven’t been too bad in myself, I kept itching a lot, was restless and kept waking through the night on Thursday night so Mummy was very tired on Friday. On Thursday I had a few more spots – one on my right lower eyelid which is making my eye read, sore and weepy. I also have one in my mouth and my right ear. Friday was the first day Lea and Luke felt more normal, and we went into the village for a drink. It was quite grey. Today started grey again, then brightened and was sunny and quite warm. We went to our favourite Marina for lunch and had a lovely walk. 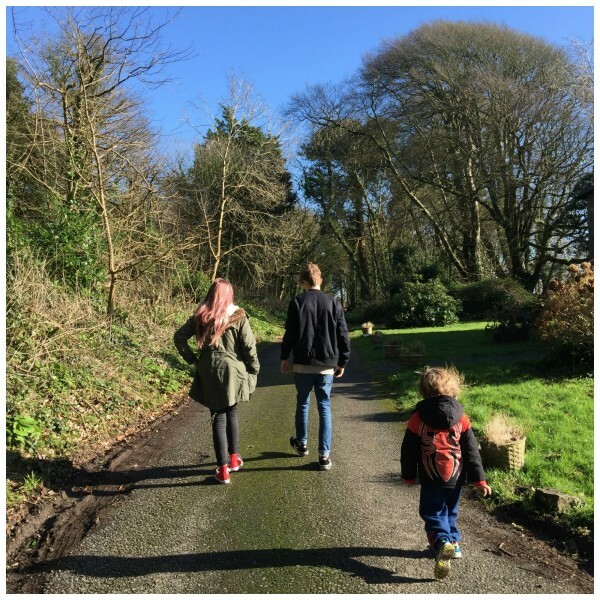 We are all on half term now and are hoping no one else is ill so we can enjoy some days out. Thank goodness we haven’t any big plans or travels. I do hope you all feel better and can enjoy half term; I’m sure the break will do you a lot of good! Good post. I really like quirky things like that! 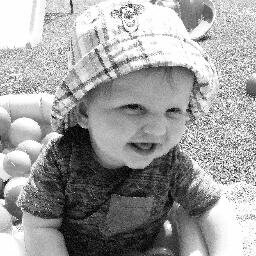 He looks so happy with all his toys, bless him. Can’t beat half term as a kid! Ana De- Jesus recently posted…Should Faded Spring Try Out Roller Derby? 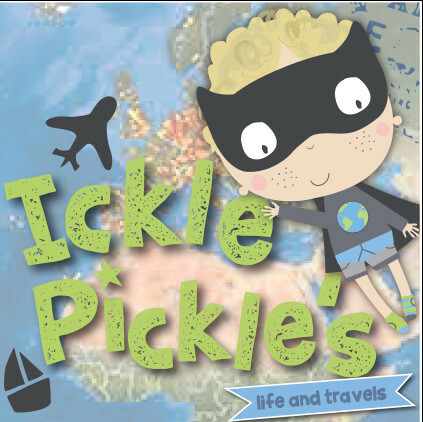 Hope the chicken pox don’t get too bad and you can enjoy half term! 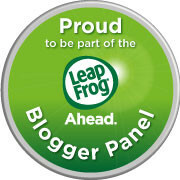 Ojo henley recently posted…Am I getting it right? Oh dear! I hope you all feel better soon! Atleast you were ill before half term, and hopefully not during! Been trying to plan my summer garden bit not got too far with planting seeds!